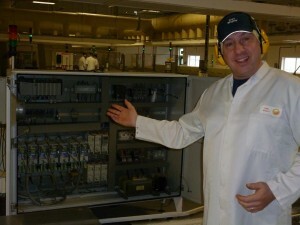 For decades, Weetabix Food Company has been at the forefront of food manufacturing innovation. Its popular Alpen bar range is one such example, accommodating a new generation of breakfast eaters looking for a nutritious treat that is quicker and more convenient to consume. But while this particular breakfast innovation has made our mornings more efficient, outdated drive technology was impacting efficiencies at Weetabix’s Alpen Factory, forcing the team to look towards new innovations. 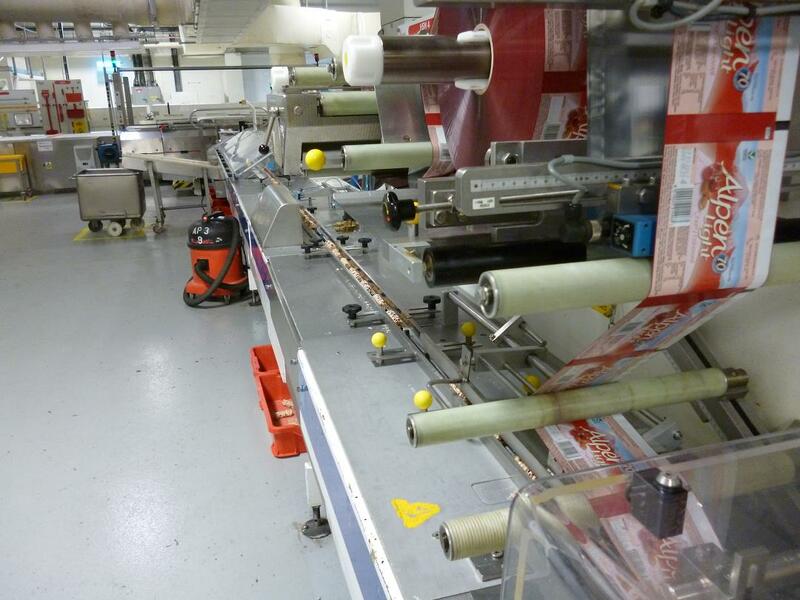 The Alpen Bar production line operates round the clock; at the end of the line, where wrapped bars are collated and flow wrapped. 25% of capacity is handled with a Bosch HSM wrapping machine (formerly SIG). 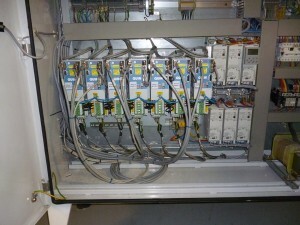 Critical to the operation of this machine were IRT 1300 servo drives, but due to their discontinuation, replacement parts were becoming difficult to source. Karl Wigley, Reliability Engineer at Weetabix Food Company, was charged with addressing this issue and finding a cost effective solution, one that could be implemented with minimum downtime and risk. Weetabix systematically implements reliability centred maintenance (RCM) and condition based monitoring (CBM) to increase machine uptime, increase cost effectiveness of capital investments and improve decision making – an essential part of its production process. Weighing the immediate financial benefits of renovating existing technology with the longer term benefits of deploying a more contemporary design with increased efficiency and performance, Karl and the Weetabix team made the decision to entirely upgrade their servo drives. Having made the decision to enhance its production line, Weetabix approached Quin Systems, a distributor and technical support organisation in the UK and Ireland for Swiss-based IRT SA to take its existing 1300 drives and upgrade to the 2000 series. Fearing a drop in production during the installation process, in the first stage, the two companies worked together to agree a work plan that minimised risk and inconvenience. The solution was found in upgrading the cabinets on separate dates and on weekend so that normal practice could resume and without causing any financial loss. 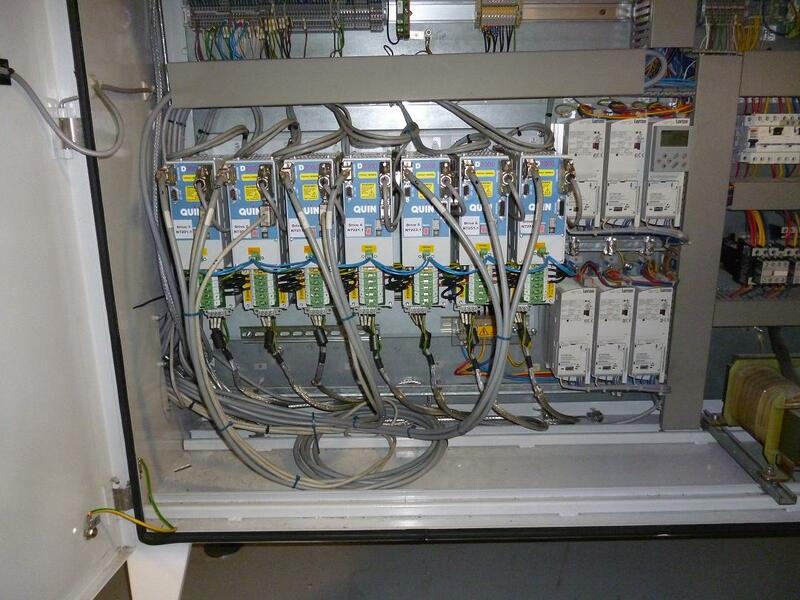 For maximum efficiency, Quin fitted the new IRT drives in place of the existing drives in the same cabinet space and reused the existing motors, encoders, command cables and control system, which delivered the most cost effective solution attainable. “Quin Systems carried out the installation, commissioning and testing of our new drives to the highest possible standard and offering a quality of service that is rarely found these days,” Karl commented. Karl reports that the flow wrapping machine is now handling better than ever before. Increased responsiveness means the machine takes less time to reach the optimum speed. Hunting (where the system first overcorrects in one direction and then the opposite direction) is reduced, resulting in smoother handling and lower energy consumption. More significantly, Weetabix has implemented a cost effective solution on this very important production line which will extend the machine life, improve reliability and save production down-time. Please contact us or take a look at our website to learn more about our IRT drive upgrade service.